Introduction: There are six seasons in Bangladesh. I like all the seasons but I like spring most. Spring is my favorite season and perhaps it is favorite to all. Spring comes to us with many pleasant things and beautiful scenes and sounds. wholly disappear. Winter also brings troubles. People shiver in cold. There is dense fog everywhere. The sun is hardly seen. The poor suffer a lot. But spring has none of these disadvantages. It has many attractive scenes and pleasant things. So I like the season most. Features: After winter the spring season comes with her lovely appearance. Spring is called the queen of seasons. It comes with pleasant sights and sounds. 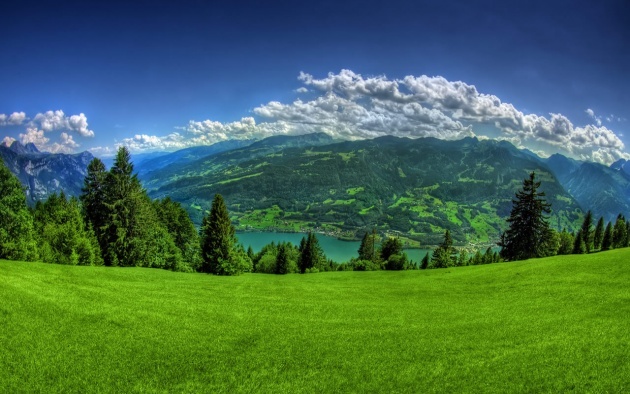 Fields and meadows become green. Flowers bloom in different trees. Birds sing from behind the new leaves. We hear the cuckoo singing sweetly. There are village fairs on various occasions. During spring bees are busy in gathering honey. A gentle breeze blows. Everything looks gay and cheerful. It is also a season of fruits. Mango, black-berry, jack fruit, lichies have buds on them. Farmers also sow the seeds of jute and paddy. Conclusion: Spring is the best of all seasons for its attractive sounds and sights. Our poets have praised this season. Really it is true that spring season neither very hot nor very cold. The days bright and cool. During this season all around looks greeny.The honeybees and butterfly flying flower to flower. Thanks. Really appreciate your feedback.